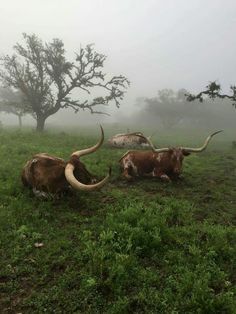 By and large, fall weather in North Texas is phenomenal. Highs in the low 70’s and the sun is still warm. Cool nights with just enough chill in the air to make you want to put a coat on, but not cool enough to actually make you go inside and put one on. It is a far cry from the 100 degree heat of the summer. So, you could be thinking, how could such amazing weather lead to danger on the highway? It all has a little something to do with the dew point. The “dew point” is the point at which the air is holding as much water vapor as it can handle. In the fall in Texas, the days can still be fairly warm, but the nights are getting cooler. Because of this, we have a 20-30 degree temperature difference between the day-time high and the overnight low. This is the perfect combination to create foggy morning driving. If you live anywhere near a river, lake, or other body of water, it is likely that you are driving to work in fog every morning this time of year. • Slow down and do not drive faster than you can see objects coming in front of you. 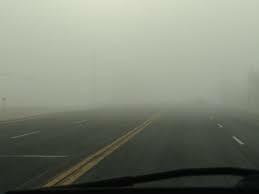 • Be cautious, fog has layers and can become thicker without notice, making travel more dangerous. • Increase following distance to ensure enough reaction time and stopping distance. • Turn on all your lights-including your hazard lights. Use low beam headlights and fog lights. Do not use high beams. • Use windshield wipers and defroster as necessary to maximize visibility. • Be ready for emergency stops by other vehicles or animals crossing the road in front of you. The fog will make your ability to see those obstacles that much more difficult, so lower your speed in order to better prepare yourself in the event of an emergency stop. If the fog gets too thick and you feel it would be safer to pull over, find a spot to exit the highway or a safe place to pull away from on-coming traffic. Do not stop in the middle of the road. Many accidents are caused by drivers simply stopping in the roadway. That is very unsafe and will put you and others at risk of injury.